Of all the incredibly impressive Great Ball Contraptions out there, you don’t see too many that mime regular objects. 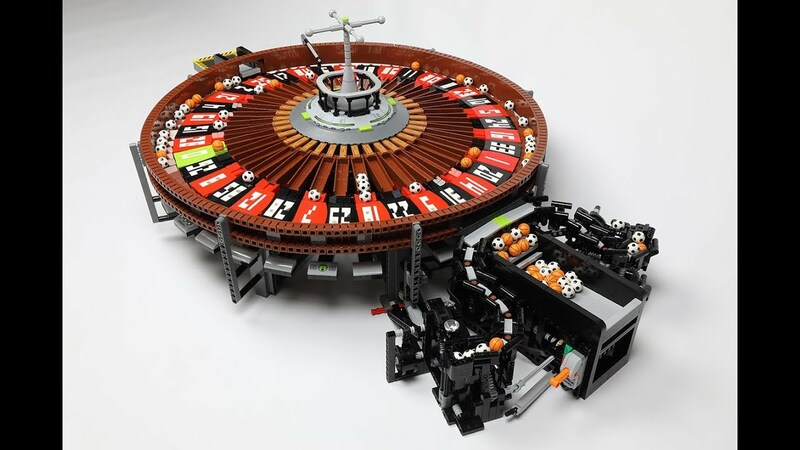 Intro Berthil van Beek’s roulette wheel. This expertly engineered marvel is a real treat to watch! Click to be mesmerized by a video of it in action! Builder Berthil van Beek takes the easy and makes it complex, simply because he can! What you see here is a LEGO ball counter. Yes, you have that right. It’s a ball counter that actually displays a moving tally as the balls pass through. Dropping the balls at one end of the contraption allows the LEGO balls to run through a Technic turnstile and end up in the container at the far end. 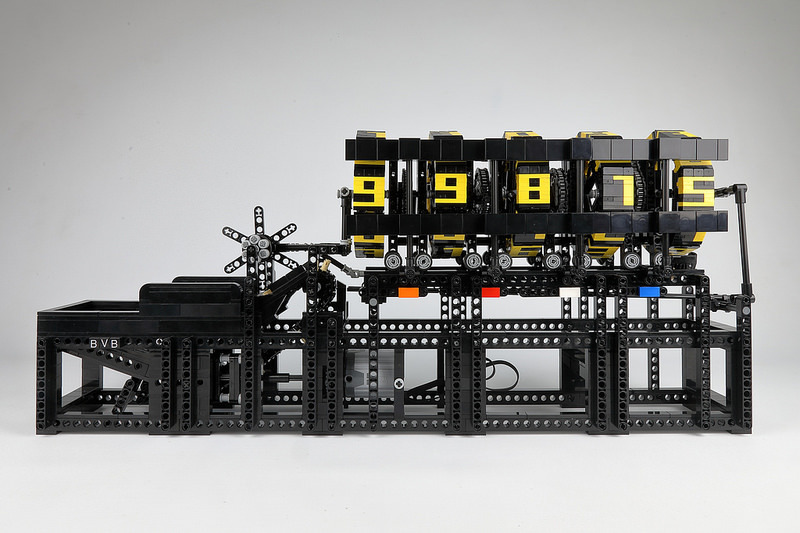 Japanese builder akiyuki applies the concept of strain wave gearing to Great Ball Contraptions, a popular LEGO fan convention theme in which hundreds of balls are passed through complex machinery. From both an engineering and a visual standpoint, the module is mesmerizing to watch. See the module in action in the following 2 minute video. A fascinating read detailing the design process and engineering challenges faced by the builder can be found on akiyuki’s blog. Great Ball Contraptions are a mainstay of LEGO conventions, consisting of short sections of machinery which transport LEGO soccer balls from one side to another. Each builder’s machine can be connected to the next, to transport a dizzying number of balls around a display. Many builders focus on the all-important task of getting the fundamental mechanics working smoothly, but we’re seeing more and more builders take some time for the aesthetics as well. 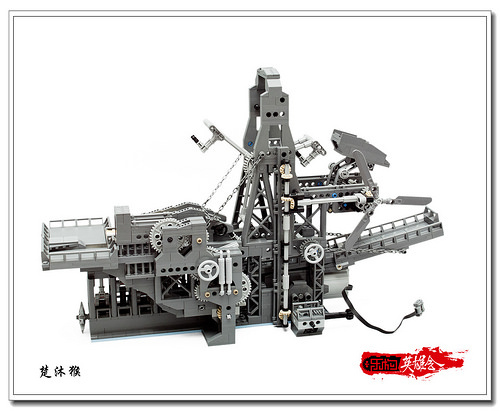 One such example is this enthralling contraption by chumuhou (楚沐猴), which has a fantastic steam-age industrial vibe. Check out the video to see it in action, too!